Awesome puzzle game with addictive gameplay and online game scores. 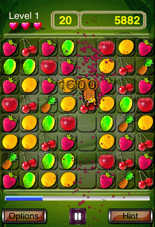 If you have got bored with similar games like bejeweled or if you want more funnier and entertaining match game, Fruited is here for you. Its gameplay is better than other similar games with lot of creative fun involving monkeys, squirrels & worms. 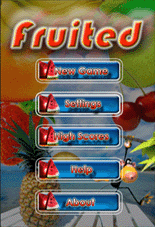 Fruited Version1.1 Introduces three new game modes along with our Original(Classic) game mode as below. 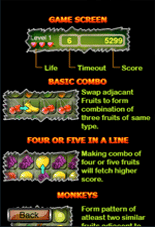 Fruited Classic : Our popular move timeout based game mode. 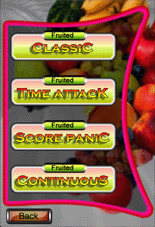 Fruited TimeAttack : Clear as many fruits in given time. Fruited ScorePanic : Get a peak score and defend it. Fruited Continuous : Save & Play until you want to stop. 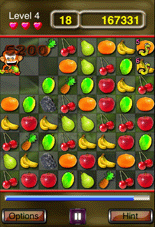 Play this fantastic fruit swapping game, well suited for iPhone/iPod Touch screen with mouth watering fruits. Animated monkeys are mischievous, but when you form a nice combo of fruits adjacent to them, they will clear all surrounding fruits. 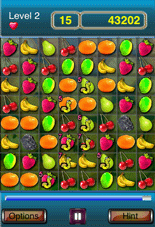 Animated squirrels clears all fruits in a row or column, if you excite them with a nice combo of fruits adjacent to them. Game is presented in a interesting move timeout based format with a life lost for each time out. Diffrent mode & Unlimited levels! Complexity of the game increases progressively from level to level. 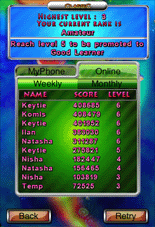 Could you ever reach Level10? well let's see!! !